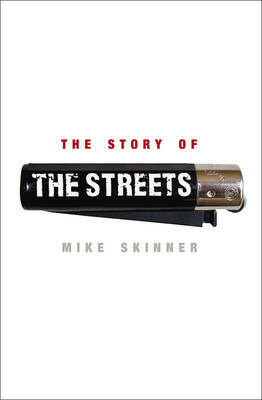 **WINNER OF THE NME BEST BOOK AWARD** 'This book is going to try and get as close as possible to the full story of what informed the noise of The Streets. Obviously that's something I should be fairly well-qualified to know about, and I'm going to be as honest as the publisher's lawyers will allow.' With the 2001 release of The Streets' debut single 'Has It Come To This?' the landscape of British popular music changed forever. No longer did homegrown rappers have to anxiously defer to transatlantic influences. Mike Skinner's witty, self-deprecating sagas of late-night kebab shops and skunk-fuelled Playstation sessions showed how much you could achieve simply by speaking in your own voice. In this thoroughly modern memoir, the man the Guardian once dubbed 'half Dostoevsky ...half Samuel Pepys' tells a freewheeling, funny and fearlessly honest tale of Birmingham and London, ecstasy and epilepsy, Twitter-fear and Spectrum joysticks, spread-betting and growing up. He writes of his musical inspirations, role models and rivals, the craft of songwriting and reflects on the successes and failures of the decade-long journey of The Streets.